The executive council of the Federal Republic of Nigeria has revealed a statement consisting of the total amount of money recovered from looters of public funds and federal treasury since the inception of President Muhammadu Buhari's administration. A document presented and issued by the Minister of Information, Lai Mohammed, though he did not include the names of persons from whom the recoveries were made. 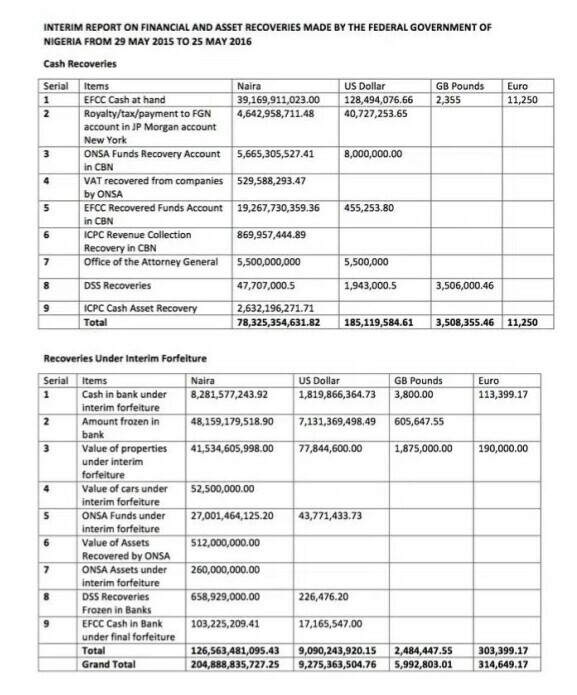 The full statement released by the Minister and a breakdown of the recoveries of funds and assets made so far, are shown below. 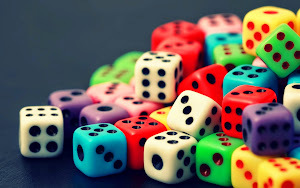 The statement released on Saturday, 6th June, 2016 in Lagos indicated that the Minister of Information and Culture, Alhaji Lai Mohammed disclosed the recoveries under interim forfeiture (cash and assets) during the period under review to be a total sum of N126,563,481,095.43 (One hundred and twenty six billion, five hundred and sixty-three million, four hundred and eighty-one thousand, and ninety-five Naira, forty-three Kobo; $9,090,243,920.15 (Nine billion, ninety million, two hundred and forty-three thousand, nine hundred and twenty Dollars, fifteen cents; 2,484,447.55 Pounds Sterling (Two million, four hundred and eighty fourthousand, four hundred and forty sevenPounds, fifty five Pence) and 303,399.17 Euros (Three hundred and three thousand, three hundred and ninety-nine Euros, 17 cents ). It showed that Non-Cash Recoveries (Farmlands, Plots of Land, Uncompleted Buildings, Completed Buildings, Vehicles and Maritime Vessels) during the period total 239. 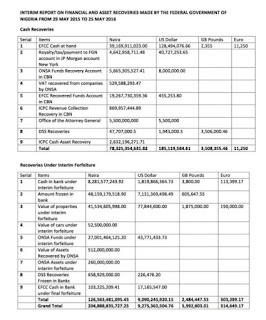 This is the breakdown of the recovered cash and assets. We will keep you updated with further information on recoveries of looted funds.